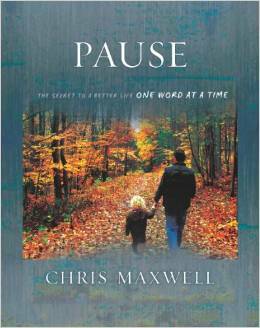 I first met Chris Maxwell on Twitter through my book Sacred Pauses and his book Pause:The Secret to a Better Life One Word at a Time. 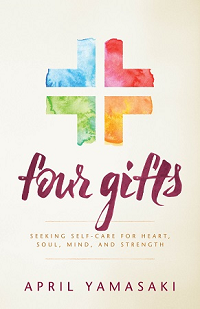 Along with the common ground of our two books, I was soon inspired by his story — how he met a devastating health diagnosis with faith and honest struggle, how he perseveres in ministry in the midst of challenge, how his one book has now become a series of books. 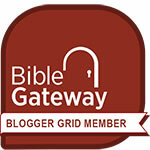 His life and work are a testimony to God’s mercy, and I’m glad to host him on my blog today. Chris, welcome to my blog. I appreciate your making time for this interview between being a campus pastor, speaking, travelling, your own blog, and many other things. Can you tell me, what has been your experience with pausing? Pause hasn’t always been a theme of my life. I like to do many things, and I work hard to do them well. But as I started serving in pastoral ministry, I saw many clergy leave their families out and let the job rule them. And I saw it in many professions. When I started serving as a lead pastor, I wanted to create a leadership team who would not just evaluate our “church business,” but would be sure that I took time for family and for myself. 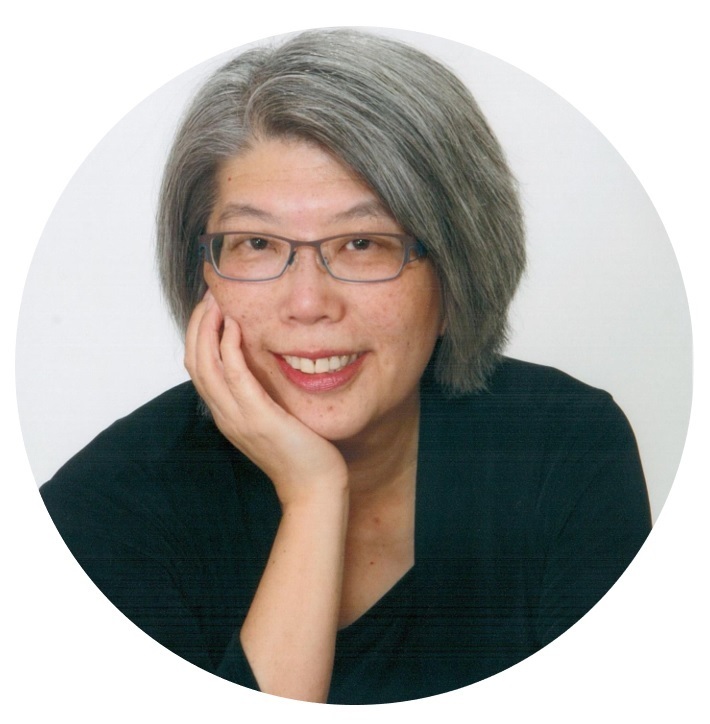 Personally, writing became part of my own form of pausing. Then, after I almost died of encephalitis and began a life with severe brain damage and epilepsy, I began appreciating life more. Pause was then a requirement for my own health. My brain, my emotions, my relationships with God and others, my jobs — everything is better when I learn the wonder of moments, when I notice the beauty of now, when I appreciate the holiness nearby. 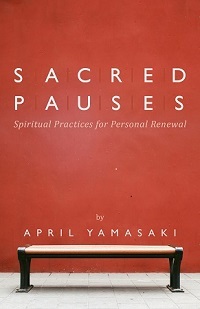 How has pausing become an important theme in your life and writing? When I finished my third book, I was discussing the title with the publisher’s marketing team. The original title was good for keeping me on track as an author. But it would not have been best for the reader to grasp the main theme. As we looked through what the book was really saying, each chapter was telling a story that invited us to pause in the rapid pace of life. To pause and notice. To pause and reflect. To pause and forgive. To pause and just be. After Pause: The Secret to a Better Life One Word at a Time came out, people began asking for a book more directed toward them. So I had a group of mothers help me write Pause for Moms: Finding Rest in a Too Busy World. 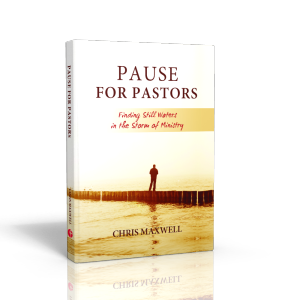 And now, through conversations and meetings with so many ministers who struggle to find what I call “holy selfishness,” a group of ministers helped me write Pause for Pastors: Finding Still Waters in the Storm of Ministry. I am still learning to slow my pace. I often struggle with an inner desire to do more than I should. My mental weaknesses come out in many ways, and my disability can urge me to seek to prove my worth and value. I am learning to say no. I am learning to ask myself why. I am still learning to accept God’s acceptance of me. I am still learning that He isn’t sitting back to give me a bad grade; He is inviting me to dinner. He smiles and cares and hurts with me. He leads me beside still, calm, peaceful waters. We are called to a divine romance rather than a list of religious duties. When I came back to reality, I knew I was Martha, busy as I could be. I did good things so people would think I was worth something. I was upset if people didn’t meet my expectations. 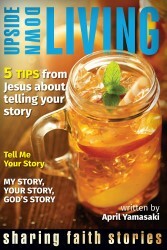 I believed I was saved by grace but lived as though saved by works. I wanted Jesus, and others (particularly the others) to know how important I was because of what I do. That’s why I have to check my smartphone at meals and in meetings; my time and my opinions are so important I constantly have to justify it. Only now do I understand the wisdom he expressed. Today I would have to turn the 4G phone off, disconnect from XM radio, and find peace in the hum of the wheels on the road. As he drove, my Dad moved; but he was also waiting. In reflecting on the difference of life between my Dad’s ministry life and mine, I find that the defining word is “waiting.” Isaiah 40:31 reminds us, “they that wait upon the Lord. . . .” This is not a passive, que sera sera “whatever will be” attitude of life. The waiting of which Isaiah wrote was not about a fatalistic God. Rather, the Hebrew verb qavah means to wait in hope and expectation. It even carries a sense of collecting and binding things together. This kind of waiting understands there is a “pause in life” that allows the Spirit opportunities to reorder and rearrange our lives. What do you think of learning to say no as a kind of “holy selfishness”? Do you resonate with Chris’ comment that pausing makes everything better? So true – saying yes to God means we also need to say no to some things, and I pray for good discernment.